When will be Justified next episode air date? Is Justified renewed or cancelled? Where to countdown Justified air dates? Is Justified worth watching? While running down a vicious fugitive, Raylan finds evidence his family is at the center of a legendary unsolved mystery. 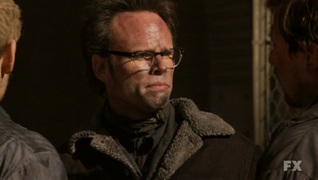 As Raylan tangles with a dangerous family keeping a dark secret, Boyd takes on a snake-handling preacher. Drew Thompson's widow turns up and gets Raylan in hot water with the FBI, while Boyd's strike at the snake church is met with a surprising strike back. 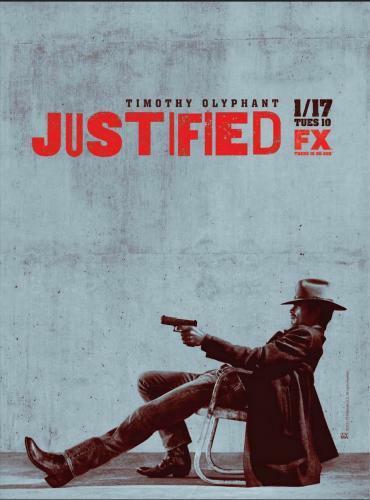 Raylan's hunt for his stolen money leads to a confrontation with a bareknuckle brawler, while Boyd and Ava face a decision that threatens to destroy them. The search for Drew Thompson leads Raylan into the remote wilds of Kentucky hill country with unexpected and dangerous results. Raylan's discovery of a severed foot sets off a race against time, while Boyd and Ava work to break into Harlan high society. Raylan finds himself caught between a foxy grifter and an old nemesis out for revenge, while Boyd and Ava come face-to-face with the decadence of Harlan's elite. Bodies start dropping and no one is safe as the search for Drew Thompson enters its home stretch. Boyd discovers he still has an Ellen-May problem, while Raylan goes off-book to do some dynamite-fishing with unexpected results. Drew Thompson slips through the fingers of Raylan, Boyd, and the Detroit mob, and sets off a breakneck race to find him. Boyd and the Detroit Mob try every dirty trick there is to stop Raylan and Drew Thompson from leaving Harlan alive. The Drew Thompson case becomes a fiasco that Raylan can only fix by besting Boyd in a hunt for the unwitting woman caught in the middle. Raylan has a last, lethal showdown with the Detroit mob, while Boyd and Ava try to keep an incriminating secret dead and buried. 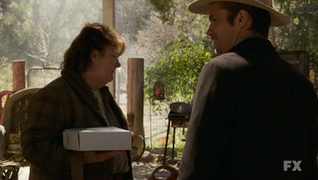 Justified next episode air date provides TVMaze for you. EpisoDate.com is your TV show guide to Countdown Justified Episode Air Dates and to stay in touch with Justified next episode Air Date and your others favorite TV Shows. Add the shows you like to a "Watchlist" and let the site take it from there.